Now, Chili con carne (in America shortened to chili) is a spicy stew-like dish, the essential ingredients of which are beef, pork, venison, or other mature meat, and chili peppers. Variations, either geographic or by personal preference, include the addition of tomatoes, onions, beans, and other ingredients. (Brown sugar is often a favourite condiment). There are also many versions of vegetarian chili, also known as chili sin carne, made without meat (sometimes with a meat substitute). 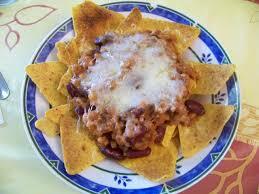 The name “chili con carne” is a slight corruption of the Spanish chilli con carne, “chili with meat”. 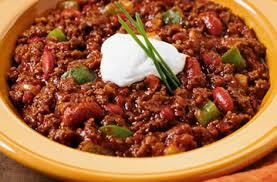 Chili con carne is the official dish of the U.S. state of Texas. Heat the oil in a pot and sauté the onions, red pepper and fresh thyme until translucent. Add the garlic and spices and fry for a further 4 – 5 minutes and then add the meat and brown well with the onions and spices. Deglaze the pot with the beef stock and then add the tomatoes, herbs, Worcestershire Sauce and tomato paste. Bring the mixture up to a gentle simmer and cook for 30 minutes. Add the kidney beans and simmer for a further 15 minutes. Serve with sour cream, fresh coriander and cheddar cheese. 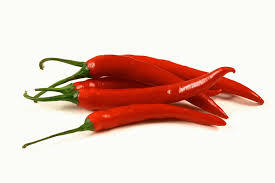 “Texas chilli’s are generally beef-based, use dried red chili peppers and are therefore red in colour. They contain no beans and little or no vegetables other than the chili peppers. Original Texas-Style Chili: This recipe contains no vegetables except chillies, which have been prepared by being boiled, peeled, and chopped. Jailhouse Chili: In the early part of the 20th century, those likely to regularly spend time in local detention facilities in the American Southwest were said to rate the accommodations by the quality of the chili they were served. This became a matter of local pride and competition with other communities. This is a modern version, as served in the Texas prison system. Pedernales River Chili: This chili was the favourite of U.S. President Lyndon Johnson and is named after the location of his Texas Hill Country ranch. Johnson preferred his chili made with venison. Texas Easy Chili: This recipe is a chili powder- and tomato juice-based sauce combined with cubed or ground beef. 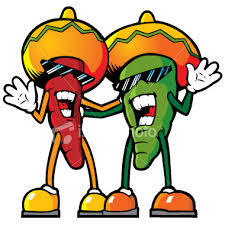 The official state vegetable of New Mexico is the chili pepper and the official state question is “Red or green?” This refers to the decision New Mexican chili devotees must regularly make, and which engenders frequent discussion and argument. The red chili is simply a riper form of the green chili; the former is cooked in its dried form and the latter is used fresh from the field, with significant differences in results. For those who simply cannot decide, the standard reply is “Christmas”, meaning a portion of each. 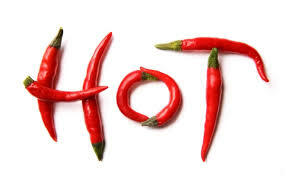 New Mexico chilli’s are more commonly based on pork, and include more vegetables than Texas style chilli’s. 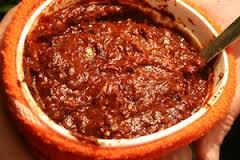 Chile Colorado: “Chili Colorado (“red chili”) is a pork-based chili from New Mexico that uses dried red chili peppers. Chili con Bambi: Another venison based chili con carne. Intended for slow cooking so can use very tough meat. Cincinnati-Style Chili: Cincinnati-style chili is a very popular regional variation that is quite different from Texas-style chili. Most notably, it is usually eaten as a topping for spaghetti or hot dogs, rather than as a stew by itself. Cincinnati-style chili is beanless, but a “four-way” serving includes beans on top of the spaghetti under the chili. The connection between cheddar cheese and chili probably originated in Cincinnati, since the cheese normally tops Cincinnati spaghetti dishes. White Chili: Instead of a tomato-based sauce and red meat (beef), great northern beans and chicken breast meat can be substituted. The resulting dish appears white when cooked, and has more of an alkali bean taste, instead of the acidic taste of traditional chili. 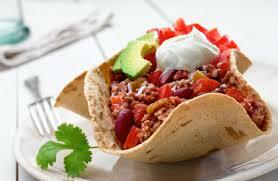 Vegetarian chilli’s acquired wide popularity in the U.S. during the 1960s and 1970s with the rise of the vegetarian philosophy, and is also popular with those on diets which restrict red meat. To make a chili vegetarian, the meat is left out of the recipe or replaced with a meat analogue such as textured vegetable protein or tofu. Some people consider vegetarian chili to be a spicy vegetable stew, and not true chili. Vegan Chili: This is a kind of chili that needs no meat (and uses no ersatz meat). Molasses gives this chili a somewhat Louisiana flavour. Bean Chili: This chili recipe, which is also vegan, uses kidney beans, red and green bell peppers, and chili powder. Black Bean Chili: This vegetarian chili uses black beans.